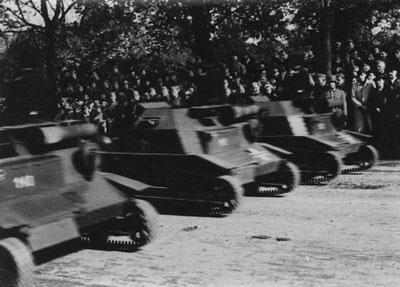 German TK-S of the Le.Pz.Kp. 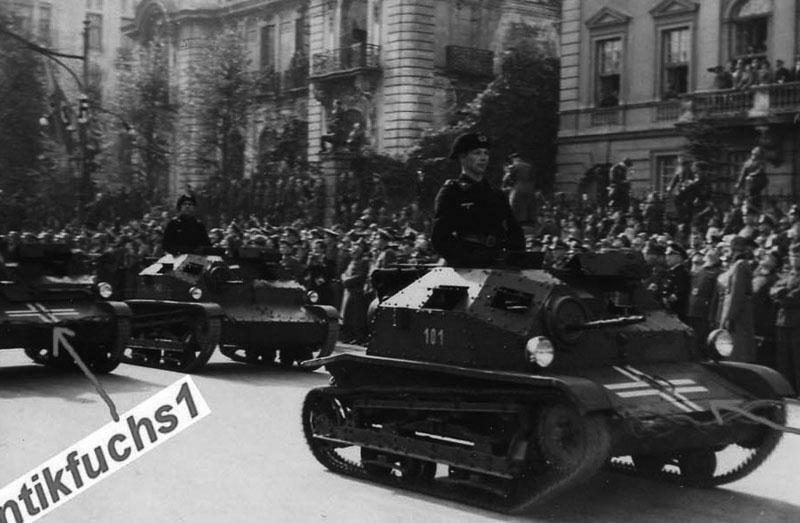 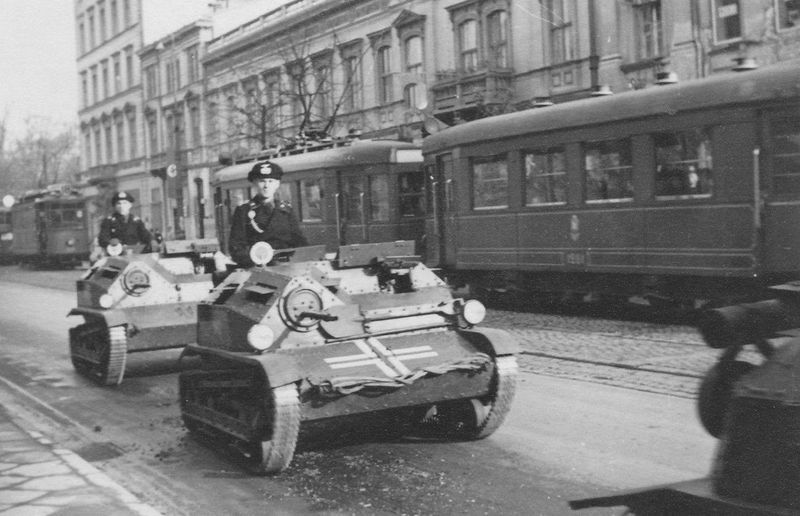 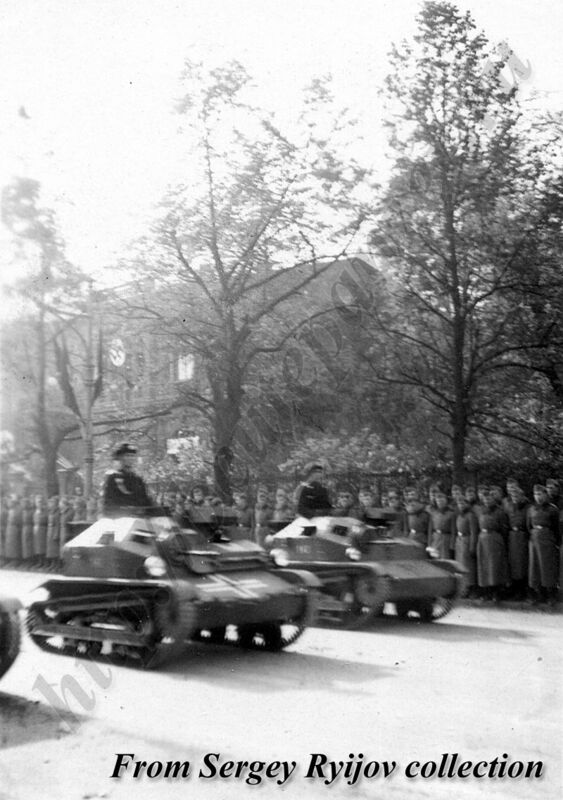 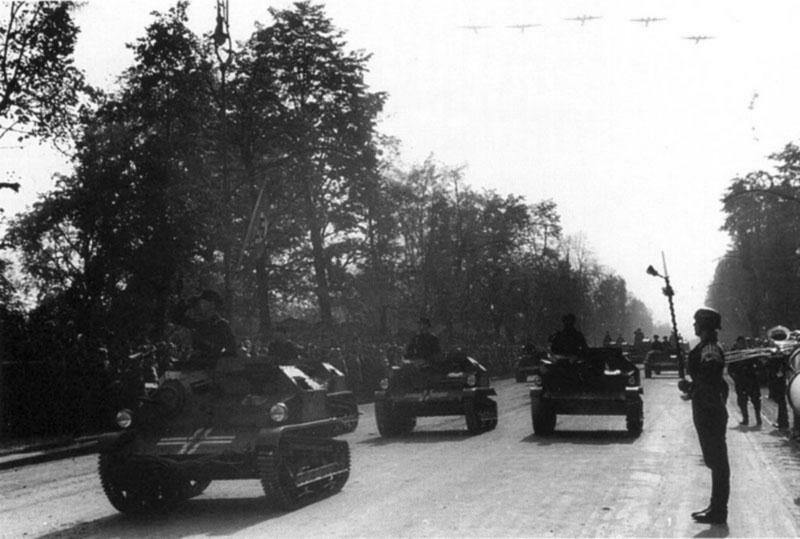 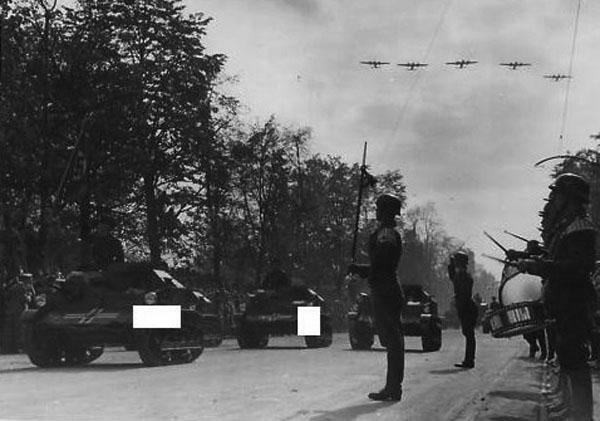 "Ost" on a victory anniversary parade in Warsaw on 6 October 1940. 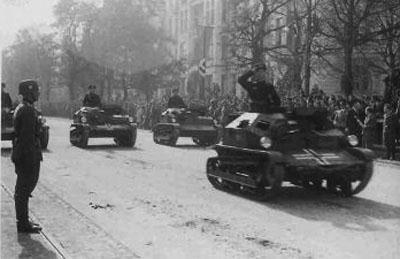 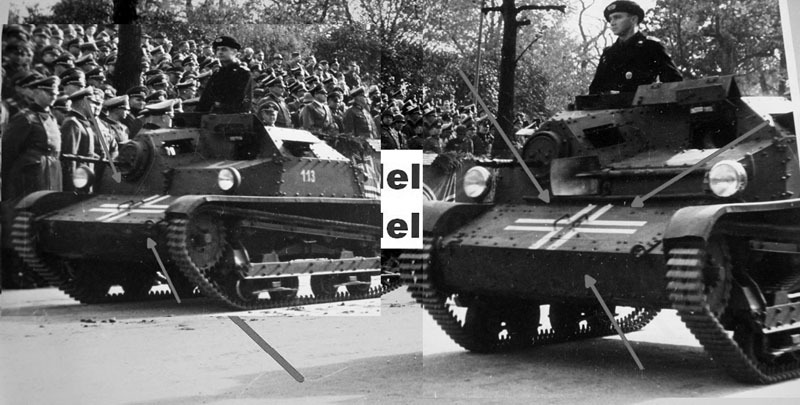 The tankkette was rearmed with germans machine guns.